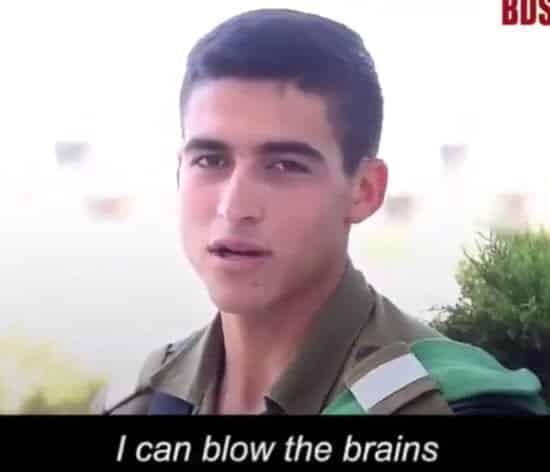 An Israel hater by the name of Saif Bitar has posted this video, supposedly of IDF soldiers admitting to horrendous crimes (hat tip: Elise). This is obviously fake, with the subtitles bearing absolutely no resemblance to what the solders are actually saying. At least I thought it was obvious – even though this Saif Bitar seems to be passing it off as authentic. Yet most of the haters commenting on it believe it to be true. Which just goes to show the kinds of lies disseminated by the haters, and how easily their fellow haters will gobble them up. Anything to demonize the Jews. Update: The tweet with the fake video has been deleted.